Roger Moorhouse delights in a Second World War family memoir that stands out from the crowd. It would be easy to make the assumption that Giles Milton’s new book is little more than a vanity project. It is, after all, the story of his own father-in-law and of his experiences growing up in the Weimar Republic and as a soldier in the Second World War. Yet, such an assumption would be wholly misplaced. Rather than one of the countless wartime memoirs that provide little of any historical or literary worth, Milton’s book offers much of value to the reader. Wolfram was born in 1924 and spent his formative years under the shadow of the Third Reich, growing up near the town of Pforzheim in the Black Forest. Coming from a rather bohemian, free-thinking background (his father was an artist, and he too would become an artist of some renown), he was little impressed by Hitler and the Nazis. But the Third Reich swiftly made its presence felt in his life; particularly when he was transported to the eastern front as part of a labour battalion, and then when he was sent to Normandy as a conscript. Wolfram is an engaging character. Thoughtful and circumspect, he occasionally comes across as an aesthete journeying through the Hades of wartime; savouring what little spiritual nourishment he could find; a beautiful landscape or the mournful chanting of an Orthodox funeral, before being wrenched back to the living death of war. Of course, aside from such esoteric flourishes, Wolfram’s experiences – and those of his family on the home front – were scarcely extraordinary for Germans of the wartime generation. Yet, the beauty of Milton’s book is the way that he has woven those experiences not only into a wider narrative, but also into the narratives of those that were close to Wolfram; childhood friends and family members. The result is a book which deftly juggles the micro and the macro, ably contextualising Wolfram’s life and incorporating it into the broader story. Importantly, Milton’s use of the first-hand material that he has had access to – diaries, letters and interviews – is exemplary. In contrast to some books of this type, one never feels that the raw material is being stretched too thin, and neither does one sense that it is overused, presented clumsily, without sufficient explanation or context. Milton’s writing, too, is first-rate. Engaging, poignant and vivid, he wrings just the right amount of pathos from his story, and shifts seamlessly between the varying ‘voices’ of his narrative. Therefore for all its apparently homespun origins, this is a very valid and interesting book, which offers an illuminating insight into the experience of ‘ordinary’ Germans living in ‘small-town’ Germany. For a variety of reasons, German personnel losses are hard to determine with any precision. Few of these cobbled-together units kept any records of losses, German graves registration had largely ceased to exist, and sympathetic civilians buried some of those killed. To gain a sense of the intensity of the fighting in the Endphase (final stage), though, it is worth noting the latest calculations of German military deaths by Rüdiger Overmans. Through his careful and exhaustive research, Overmans has concluded that approximately 1.23 million German military personnel (including Volkssturm men, who suffered more than 50 percent of the entire losses) died in the final four months of the war. This average of roughly three hundred thousand killed monthly (compared with “only” one hundred thousand per month on the eastern front in 1944) represented the highest such German losses in the entire war. Even if one accepts his further estimate that two-thirds of the casualties in the Endphase occurred on the eastern front, that still leaves over four hundred thousand deaths during the hard fighting in the west. In the triangle of terror and destruction marked by Aschaffenburg, Ansbach, and Heilbronn, estimates of civilian deaths alone number over two thousand, with an equal number of soldiers sent to their deaths just in the region bounded by the Main and Neckar Rivers. By throwing a mixed bag of men into battle, many with little training and all with insufficient weapons, supplies, and equipment, German commanders had sent their troops to the slaughter, in a futile attempt to offset iron with blood. No rationality or military purpose attended to this decision, for Germany was going to lose the war in any case. Rather, it illustrated the destructive will of Nazi political and military leaders, both against the enemy and their own population. In directing terror at all, Nazi authorities took little notice of the military situation and betrayed no regard for the well-being of the local civilian population. All villages and hamlets were to be used as obstacles and defensive positions, with the result that many heretofore untouched by war fell victim to the wave of destruction unleashed in the last days of the conflict. To the average citizen this meant only unnecessary and pointless terror and devastation. But to the Nazi leadership, having created a system that reveled in terror and unwilling to bring the destruction to an end, there existed another goal, yet realizable. For Hitler, the end of the Nazi regime and the end of the German people and nation were to be synonymous. Melita Maschmann was a member of the BDM (League of German Girls). Her autobiography, Fazit: Kein Rechtfertigungsversuch (1963), is a controversial account of her Nazi past. This article shows how, through frameworks of racialised and gendered victimhood, concepts of nationhood are embroiled not only within persistent, competing Nazi ideologies but also within international ideological constellations of the Cold War. It situates Fazit within contemporary debates about victimhood and the responsibility of women for their actions in the Holocaust. “Cadets” is a German film made during World War Two, so of course it advances the propaganda of the Reich. But this is actually a well-made and entertaining movie, in spite of its political agenda. The Nazis devoted a substantial amount of resources (often including slave labour) to well-made, elaborate movies, often in historical settings (most notably the epic “Kolberg”) … leaving me to wonder if history might have taken a different course if Germany had devoted all those resources to winning Hitler’s war. “Cadets” takes place during the Seven Years’ War of 1756-1763, a conflict which I consider the first true world war. (American history books identify this conflict as the French and Indian War, often omitting to mention that much of the fighting took place in Europe, and nearly every European nation was involved.) The Seven Years’ War and World War Two had a major factor in common: in both cases, Russia changed sides during the war. The heroes of “Cadets” are a group of plucky Prussian boys, ages nine through twelve, who are attached to a battle regiment. (Did the Prussian army actually muster boys this young? And were those boys ever in the line of fire? I confess that I don’t know. I’ll describe the movie accurately, but I don’t know if the movie is historically accurate.) The boys are captured by Russian troops. Of course they escape. After many adventures and hardships, they heroically rejoin their unit. This film being Nazi agitprop, naturally all the Prussian boys (surrogate Germans) are a bunch of little Tintins, brave and resourceful and good-looking. The Russians are coarse, filthy vulgarians with no sense of honour nor valour. Most nations have resorted to similar stereotypes in their wartime films. “Cadets” seems to be aimed at both adult and youth audiences in Germany and Austria. On several levels, this is an entertaining “Boys’ Own”-style adventure film, about as realistic as “Emil and the Detectives”. 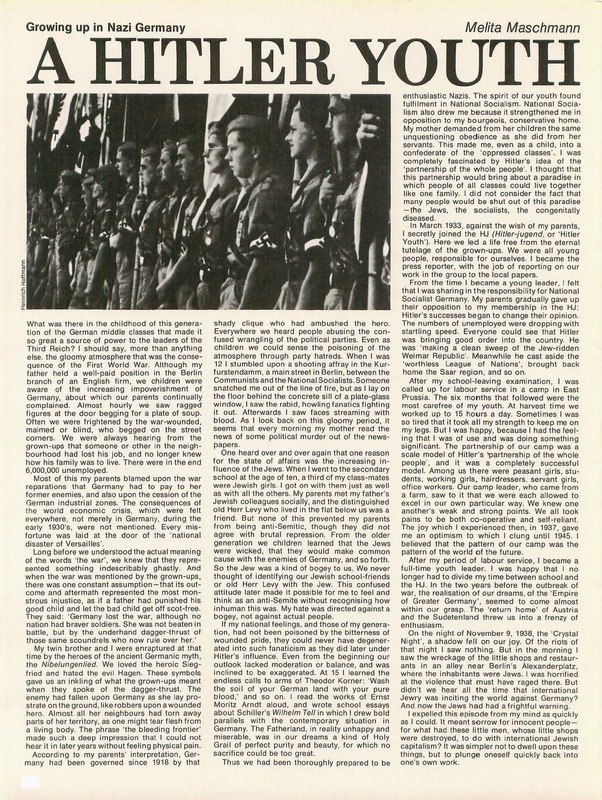 In hindsight, though, we know that the Nazi war effort was preparing boys of the Hitler Youth to go into combat, and that many boys as young as the cadets in this film were eventually in the front lines of the Wehrmacht and the Volkssturm, blindly and patriotically dying for their nation while adult Nazis were frantically rushing westward, hoping to surrender to American or British forces before the Red Army arrived. Those brave boys were decoys so that cowardly men could survive the war. For those who can look past its political agenda, “Cadets” is an enjoyable film with plenty of action. 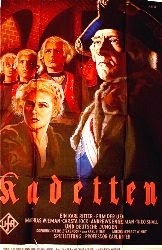 The period detail is, as usual for German movies before and during the Reich, impeccable. The production values are more than adequate, and the exterior locations are impressive. The boy cadets sing a rousing song, “I Like a Fight with the Enemy in the Field”, and Lydia Li is attractive as a Russian singer. Fully aware of its political context, I’ll rate “Cadets” 7 out of 10. Summer 1937. What could be more fitting in the cool afternoon of an English country lane than a group of cycling tourists steadily pedalling their way from one historic site to another, stopping to camp overnight in fields along the way. The only problem was, that summer, some of those groups of teenage boys were Hitler Youth. In an era without satellite photography, when detailed ordnance survey maps could be hard to come by and when tension in Europe was rising, MI5 were worried that this innocent cyclo-tourism was a cover for spying. MI5 had been told that Hitler Youth groups visiting abroad were asked to complete a detailed questionnaire, including questions on terrain, population, and political views of the population. They were asked to take photographs, especially of industry, and to get lists of names of all those taking part in anti-German movements. In May 1937, the British “Daily Herald” paper had printed an article about “spyclists” – based on translation of the Nazi Cycling Association’s advice to members travelling abroad. And one of the senior figures in the Hitler Youth had moved to London at the start of the year, ostensibly to study. MI5 suspected that Joachim Benemann’s real object however was to develop the Hitler Youth in the UK. On an earlier visit, undertaken in 1934 and 5, he had set up joint Anglo-German youth camps, one at Bryanston School, and he had tried to develop links between the Hitler Youth and the Boy Scouts, without much success. So the head of MI5, Colonel Sir Vernon Kell, decided to try to track visiting Hitler Youth cycling groups. Chief Constables were asked to monitor them, to try to find out what their planned routes were, without questioning the leaders. From the file, it appears they identified seven substantial groups, each of about twenty young men. These were generally the older members of the Hitler Youth: in their late teens or early twenties. Their itineraries were usually built round visits to the great English historic sites – Oxford, Cambridge, London. Though one party was touring Scotland and another finished in Wales. MI5 did not shadow the cyclists closely, so it is not recorded exactly where they stayed and who they met. There was some reporting in local papers though: the Boston and Spalding Free Press reported that the Spalding Rotary Club laid on a special dinner for one group, who thoroughly enjoyed their sausages and mash, and charmed the local people with their good manners. The Hitler Youth who travelled to Britain had been specially selected – a number had even had been to training camps before the visit. Some of them met or shared camps with British Boy Scout groups. The most striking was the Tamworth Scout troop – for whom this was a return visit. They had already been guests of the Hitler Youth in Hamburg earlier in the summer, thanks to their very pro-German Scoutmaster. They had stayed at a Hitler Youth camp and even taken part in a torchlight rally. One of the boys, Les Fardon, told Radio 4’s Document Programme ten years ago: “It was like a Roman legion,” he said. Another of his fellow Scouts remembered it as being a very exciting trip, and he recalled how even the British boys fell into doing the “Heil Hitler” salute. “They liked you to do it,” he added. Both boys made friends with some of the Germans. The charm offensive was being carried out at a far higher level too. In November 1937 Lord Baden Powell met the Chief of Staff of the Hitler Youth at the German Embassy. The elderly Chief Scout had long been an admirer of the Hitler Youth, and was keen to develop closer links. The British government stepped in to stop that though. A note on the file shows that Lord Cranbourne, Under Secretary of State for Foreign Affairs, called Lord Baden Powell’s chosen successor, Lord Somers, around a fortnight later. He “strongly deprecated” close relations, runs the note. 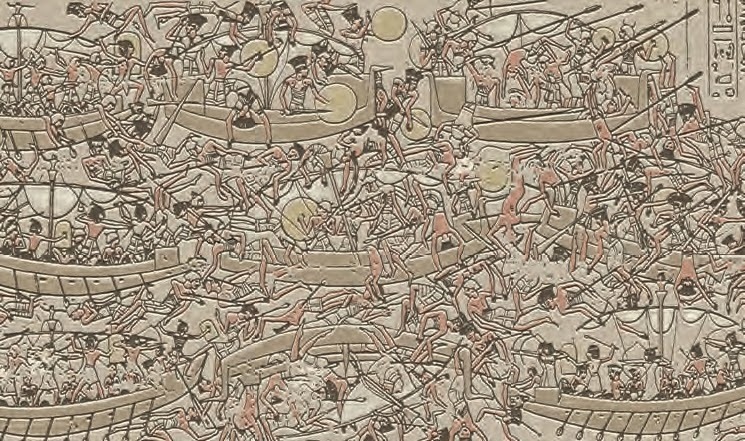 A large relief shows the Egyptian navy fighting the Sea Peoples during the reign of Ramesses II. Although boats are a common factor of everyday Egyptian life, sailing the open sea is another matter, but for the adventurous young man a career in the navy might be appealing. Egypt keeps several squadrons of speedy ships to patrol the eastern Mediterranean. The sailors, however, rarely do any fighting, which is done by land troops carried onboard—sometimes as many as 250 men. The ships can be sailed and rowed, which gives them an advantage over most enemies, who only sail, and powerful archery wins many battles without the need for hand-to-hand combat. In most cases, however, the navy is used to transport troops to where they are needed—on the coast of Canaan or upriver to Nubia, when the boats need to be dismantled and carried up the cataracts. Hatshepsut commissioned a trading venture to the distant, legendary Land of Punt, probably situated on the coast of Somalia, East Africa. 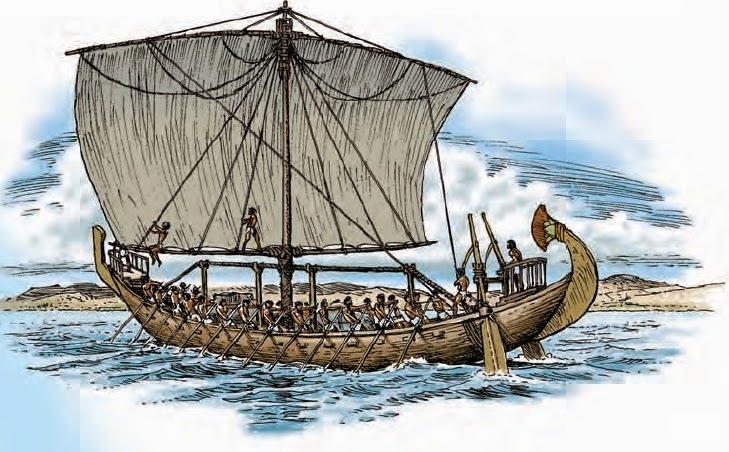 The fleet sailed from Thebes, down the Nile almost as far as modern Suez, crossed over by canal into the Red Sea, and then undertook the long voyage southward. The expedition’s progress was recorded in detail by scribes in a series of painted reliefs, including the tall, thin chief of Punt, Perehu, and his deformed wife Ety. These are preserved in the queen’s great funerary monument at Deir el-Bahari in Western Thebes.The expedition returned safely with its rich cargoes of ebony, ivory, gold, electrum, aromatic woods for perfume-making, cosmetics, and panther skins, not to mention apes, dogs, and natives of Punt. 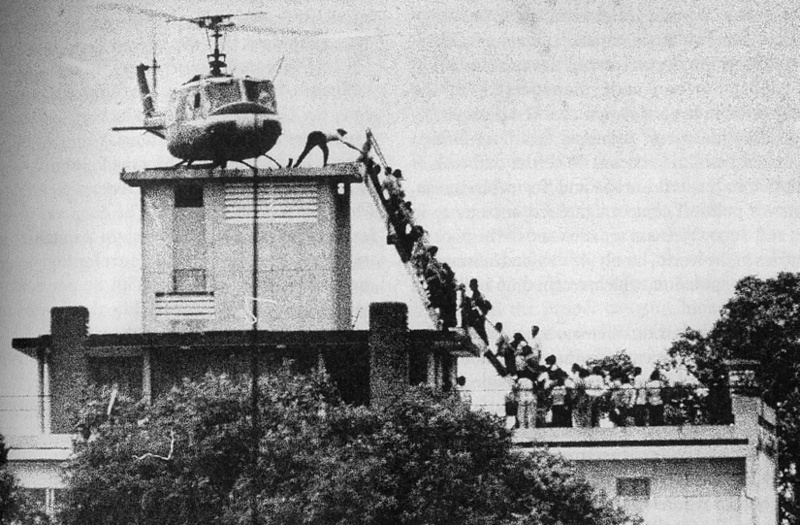 Evacuation of CIA station personnel by Air America on the rooftop of 22 Gia Long Street in Saigon on April 29, 1975. For many Americans, the 1975 photograph of a helicopter rescuing people from an apartment rooftop in Saigon symbolizes the failure of the Vietnam War. What most do not know is that the rescue also demonstrates the prominent yet shadowy role played by private military contractors (PMCs) in American history. The helicopter was operated by Air America, then owned by the Central Intelligence Agency but first established as a private company, Civil Air Transport (CAT). Air America and CAT had a long and secretive role in the service of the U. S. military in Southeast Asia. Terms such as mercenary and soldier of fortune have been replaced by PMC as the description preferred by those in the military services industry. Mercenary and soldier of fortune, in the narrowest terms, describe an individual who sells his or her military skills to a foreign nation and does not serve as a member of a designated government force. But both words, especially mercenary, are often used loosely and can apply to those who fight for other nations in support of a cause, sometimes as part of a government force, as well as those who seek adventure or status or even citizenship in the host nation. Profit is not always the primary motive for mercenary service. As the Air America example demonstrates, PMCs who serve their own nation can be categorized as mercenaries. The narrow definition of mercenary typically refers to combat duty and does not include the vast array of support and training services, the activities performed by many present-day PMCs. Closely related to mercenaries are filibusters, American military adventurers (most common in the 19th century) with no connection to any government entity who serve in private expeditions against nations not at war with the United States and, therefore, violate U. S. law. PMC service to the United States is as old as the nation itself-in fact, a bit older. The Declaration of Independence may have accused King George III of “transporting large armies of foreign mercenaries to complete works of death, desolation, and cruelty” in the colonies, which he did by employing Hessians and other Germans, but the Continental Army also used mercenaries, although to a far lesser extent. The Marquis de Lafayette, whose early involvement with the Continental Army qualifies as mercenary duty, is certainly the best known of the Europeans who served the cause of independence. But others made notable contributions, for example, Swiss officer Friedrich von Steuben played a prominent role in training American units; two Poles, Kazimierz Pulaski and Tadeusz Kosciuszko, chief engineer of West Point; the German Johann Kalb and the Irish-born Thomas Conway. In addition to the nation’s use of PMCs, some of its early war heroes served under other flags, including John Paul Jones who served in Russia and David Porter who served in Mexico. The naval version of the mercenary, the privateer, contributed to the Revolutionary War effort at sea against the formidable British Navy. After independence, the fledgling nation also used PMCs to help compensate for America’s inadequate naval forces. The 1787 Constitution authorized Congress to “grant Letters of Marque and Reprisal,” thus officially sanctioning privateering. The United States used privateers to great effect against the British during the War of 1812. The young nation also employed land-force mercenaries during its early years. In 1804, a former American consul to Tunis, William Eaton, concocted a scheme to overthrow the pasha of Tripoli, then at war with the United States. Eaton’s plan was approved by the president and secretary of state. With the help of a few hundred mercenaries, mostly Muslims, Eaton nearly achieved his goal in early 1805 before learning that the United States had come to terms with Tripoli. Frederick Townsend Ward of Massachusetts, arguably the most successful American soldier of fortune of the 19th century, began his mercenary duties as a filibuster in Nicaragua, then served with the French during the Crimean War, but achieved lasting fame as the leader and organizer of a Chinese mercenary force, later known as the Ever- Victorious Army, sanctioned by the Ch’ing dynasty and charged with defeating a massive and violent revolt known as the Taiping Rebellion. For some Americans, the Civil War provided the requisite training for future mercenary work abroad. During the 1870s and 1880s, 50 Americans, mostly veterans of the Civil War, and including a few West Point graduates, accepted commissions in the Egyptian Army with the sole caveat being that they would not take up arms against the United States. The Civil War also provided mercenary opportunities for other nationalities in the wake of the various wars of revolution in Europe. Foreigners served as mercenaries with both the Union and Confederate armies, though the former attracted greater numbers. Many served as staff officers and a few reached the rank of general. Their motives varied. Some fought for the cause of liberty (at least those who joined the Union Army) and others to sharpen or maintain their skills, sometimes with the intent of gaining promotion in their native lands. The mercenary tradition continued during the 20th century as American PMCs served around the globe, both as individuals and in units. American citizens fought on both sides of the Cuban Revolution, against insurgencies in the 1960s and 1970s, and in defense of Israel. Americans, largely motivated by cause and adventure, not profit, also served under foreign supervision in units consisting largely of American citizens on at least four occasions during the 20th century: the World War I flyers of France’s Lafayette Escadrille named in honor of the Marquis de Lafayette; the Kosciuszko Squadron in 1920 (Poland) named after the Polish soldier of fortune who fought with the Continental Army; the Washington and Lincoln brigades of the Spanish Civil War (Spain); and Chennault’s Flying Tigers during World War II (China). 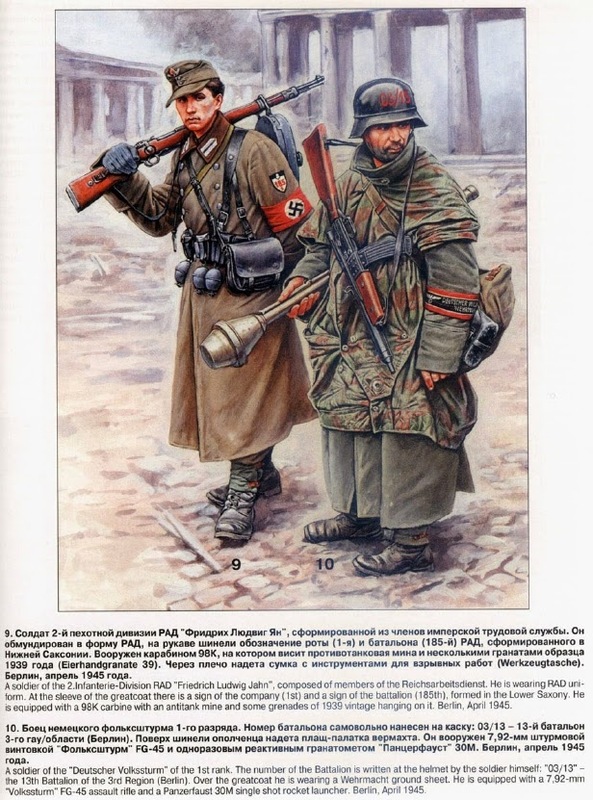 During the early years of the Cold War, the United States trained German and Eastern European volunteers, many hailing from postwar labor service units and including former Waffen SS members, for counterinsurgency in the event of an attack by the U. S. S. R. on Western Europe. In addition, approximately 5,000 volunteers originally from the Soviet Union and occupied territories trained as a rapid deployment force for incursions into Soviet territory after a nuclear engagement. In 1950, Congress passed the Lodge Act, thus permitting “alien nationals residing outside the United States” to enlist in the Army. Dubbed the “Volunteer Freedom Corps,” a combination of a jobs program for refugees and a Cold War foreign legion, the effort gained impetus under President Eisenhower’s New Look strategy of the 1950s, which emphasized “burden sharing”; however, it failed to garner the requisite support in Western Europe and was eventually canceled in 1960. Some Lodge Act recruits, or “Iron Curtain nationals,” trained in guerrilla warfare and formed the nucleus of the original Special Forces, or Green Berets, in the early 1950s. After World War II, the U. S. government also used contract soldiers, Americans and other nationalities, to perform hazardous duty in locales considered too politically risky or controversial for government forces (Congo, Cuba, Angola, Laos, Colombia) or in cases where American military forces required special local knowledge (Vietnam). Generally, mercenary operations throughout history have benefited from the surfeit of warrior labor that remains after extended periods of conflict: the European wars of revolution, World War II, and the Cold War. After Vietnam, many expected large numbers of American veterans to participate in mercenary campaigns in Africa and elsewhere. One former Green Beret, so confident of this result, founded Soldier of Fortune magazine in 1975 to advertise mercenary employment. A few opportunists even started mercenary training schools in the United States. The expectations were never realized, for two primary reasons. First, beginning in the 1960s, the U. S. government let it be known that any American citizen who joined a foreign mercenary unit would forfeit his or her citizenship. Second, when compared with the military personnel of traditional colonial powers (Great Britain, France, Belgium), Americans generally have had little experience with extended pacification and occupation duties abroad. Although American soldiers of fortune played but minimal roles in the Third World mercenary campaigns of the 1970s, the decade did see the emergence of another phenomenon that would change the face of the military services industry- what one scholar is now calling “the new business face of warfare.” Beginning in the 1970s and aided by the post-Cold War reduction of government forces, a new corporate model of PMC has emerged. These firms provide a host of services: logistics support and intelligence, training and planning, and actual combat operations. Many of these firms are or have been based in Great Britain and South Africa; however, several U. S. corporations also compete in the private military services sector. Some U. S. firms, including Dyncorp, Vinnell Corporation, and Science Applications International Corporation (SAIC), started as more traditional defense contractors (providing hardware and technical support) during the Cold War but have expanded their operations to include PMC duties. Others, such as Military Professional Resources, Inc., founded in 1989, sought to take advantage of the trend in military “outsourcing” at the end of the Cold War. Firms such as Brown and Root Services expanded logistical support operations from the civilian realm to the military. Blackwater, Inc., founded in 1998 by former U. S. Navy Seals, claims to have prepared thousands of “security personnel” for various duties around the world in addition to training police and military units. To date, no U. S. firm is known to have been directly involved in combat operations. The U. S. government has shown little interest in encouraging the growth of combat-ready PMCs but has supported the expansion of other sectors of the military services industry. American use of PMCs, by some estimates, has increased tenfold since the Gulf War in 1991. Largely driven by the urge to “outsource,” the U. S. Department of Defense signed more than 3,000 contracts between 1994 and 2002 with a value surpassing $300 billion, far exceeding the previous decade. PMCs are now involved in activities considered essential for the U. S. military: maintaining bases, conducting Army aviation training, and providing services for the F-117 stealth fighter and B-2 stealth bomber, as well as the U-2 reconnaissance plane, and many naval vessels. The 2003 invasion and occupation of Iraq has generated even greater interest in and controversy about the role of PMCs. Serious questions remain about the legal ramifications of PMC use by the U. S. government, the quality of training and the compatibility of such training with that of regular forces, the potential “brain-drain” from traditional government forces, accountability, and cost effectiveness. Bibliography Adams, Thomas K. “The New Mercenaries and the Privatization of Conflict.” Parameters (Summer 1999): 103-116. Carafano, James Jay. “Mobilizing Europe’s Stateless: America’s Plan for a Cold War Army.” Journal of Cold War Studies 1, no. 2 (Spring 1999): 61-85. Carr, Caleb. The Devil Soldier: The Story of Frederick Townsend Ward. New York: Random House, 1992. Crabites, Pierre. Americans in the Egyptian Army. London: Routledge, 1938. Langley, Lester D., and Thomas Schoonover. The Banana Men: American Mercenaries and Entrepreneurs in Central America, 1880-1930. Lexington: University Press of Kentucky, 1995. Leary, William M. “Supporting the `Secret War’: CIA Air Operations in Laos, 1955-1974.” <http://www. cia. gov/csi/studies/winter99-00 (July 3, 2005). Lonn, Ella. Foreigners in the Confederacy. Chapel Hill: University of North Carolina Press, 1940. —. Foreigners in the Union Army and Navy. Baton Rouge: Louisiana State University Press, 1951. Mallin, Jay, and Robert K. Brown. Merc: American Soldiers of Fortune. New York: Macmillan, 1979. May, Robert E. Manifest Destiny’s Underworld: Filibustering in Antebellum America. Chapel Hill: University of North Carolina Press, 2002. Further Reading Davis, James R. Fortune’s Warriors: Private Armies and the New World Order. Toronto: Douglas & MacIntyre, 2000. Mockler, Anthony. The New Mercenaries. New York: Paragon House, 1985. Singer, P. W. Corporate Warriors: The Rise of the Privatized Military Industry. Ithaca, N. Y.: Cornell University Press, 2003.